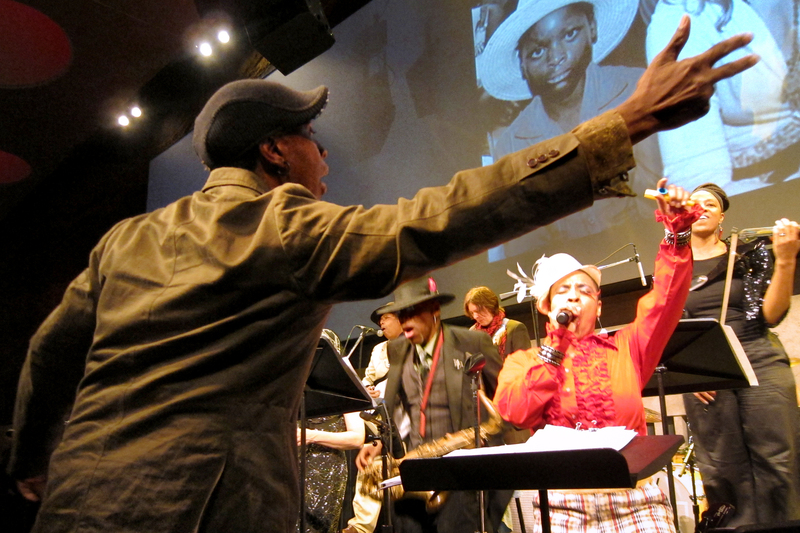 Winter Jazzfest is here for your annual pick-me-up. 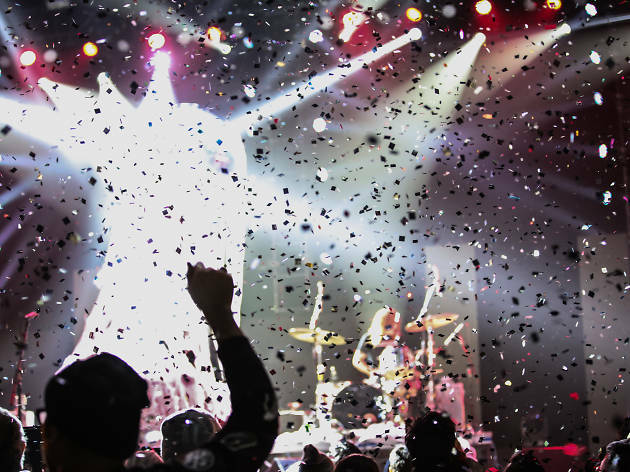 Don’t miss these acts at the six-night, multivenue blowout. The annual Winter Jazzfest—a weeklong bash showcasing both iconic elder statesmen and young innovative blood from across the jazz spectrum—is upon us. 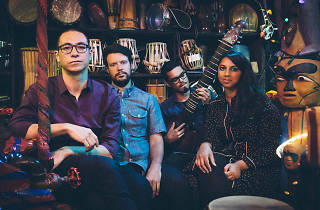 And this year offers a mountain of shows across more than a dozen of the best jazz clubs in NYC. The 2017 festival also serves as a platform for racial and social justice: Along with a slate of politically focused shows, there will be talks and panels on topics including Social Justice & the Role of Music and Music & Environmental Justice. Here, we’ve provided a guide to the essential shows and illuminating talks featured at this year’s Winter Jazzfest, one of the best concerts in NYC in January and things to do in the winter. 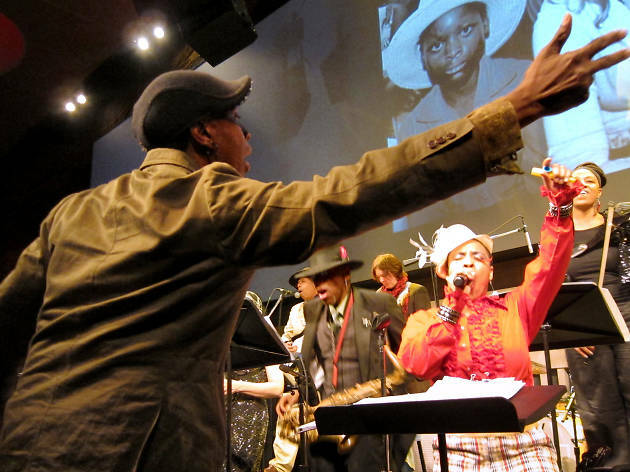 Winter Jazzfest is at various locations Thu 5–Tue 10. Festival pass $160. Get tickets here. 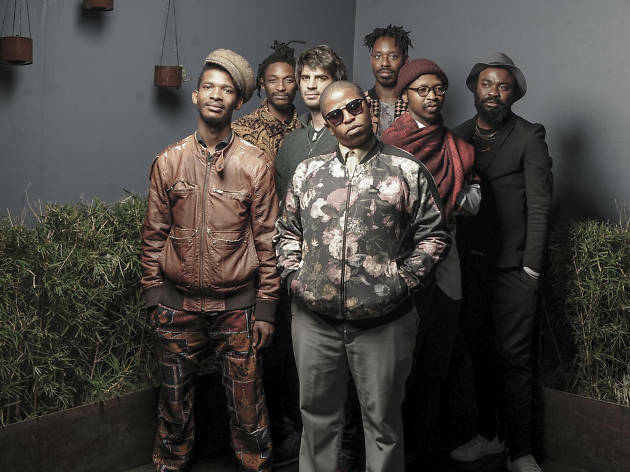 Sax upstart Shabaka Hutchings (of psych-jazz trio The Comet Is Coming) leads this group of South African musicians who dig deep into transcendent, interstellar explorations. 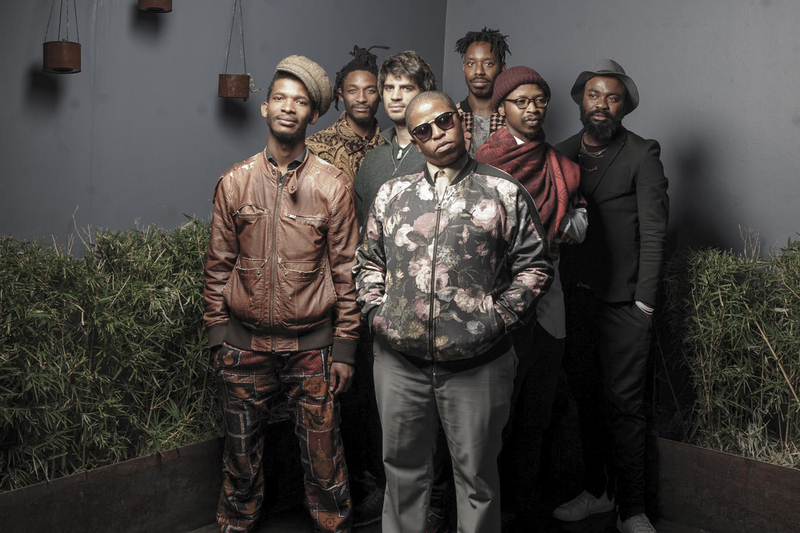 The group captured its sonic fusion of Sun Ra and Miles Davis on last year’s Wisdom of Elders, and on Thursday 5, the quintet shares a bill with a kindred spirit, sax icon Pharoah Sanders. For its Saturday, January 7 set, the band takes part in the festival’s signature two-night marathon, which hosts shows at 13 downtown venues including Bowery Ballroom, S.O.B.’s and four New School theaters. Le Poisson Rouge, 158 Bleecker St. Thursday, January 5 at 8pm, Saturday, January 7 at 7:40pm; $35–$45. 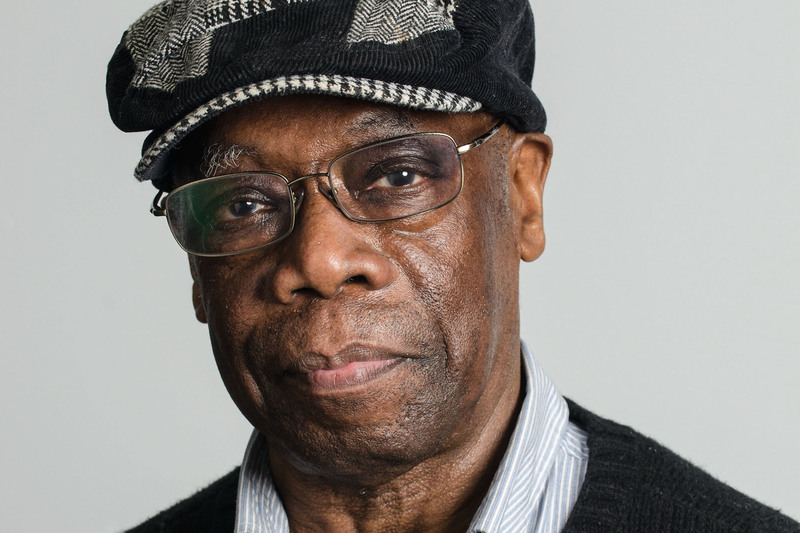 Mighty avant-garde jazz drummer Cyrille has held down a freethinking, loose-limbed backbeat for giants like Coleman Hawkins and Cecil Taylor, and he’s proved himself a workhorse even into his 77th year. As Winter Jazzfest’s artist in residence, he plays five sets: Catch him exploring his roots with Haitian Fascination (Saturday, January 7), paying tribute to Thelonious Monk (Sunday, January 8) and performing a solo set before joining folk singer-songwriter Sam Amidon and an ensemble of improvisers (Monday, January 9). His first set of the fest revisits the sublimely melodic back-and-forth of 2016’s Proximity with sax firebrand McHenry. New School Tishman Auditorium, 63 Fifth Ave. Friday, January 6 at 8:20pm; one-day marathon pass $45–$55, two-day pass $80–$90. 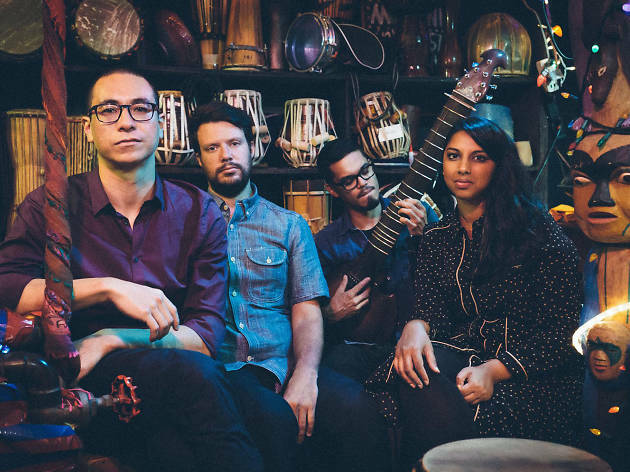 Before David Bowie brought his Blackstar band of jazz left-fielders to the fame forefront, piano and synth virtuosoLindner scratched the keys in his poetry-driven, jazz-hop group, Now Vs. Now. 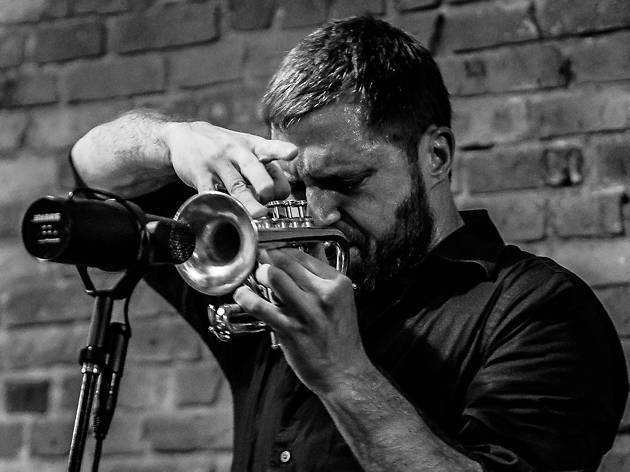 Lately, Lindner’s been a bit busy tickling the ivories in fellow Blackstar bandmate Donny McCaslin’s outfit, but tonight you can catch him leading his resurrected NYC-flavored Now Vs. Now crew. Nublu, 151 Ave C. Friday, January 6 at 11:20pm; one- or two-day marathon pass. With this year’s focus on social and racial justice, who better to both wax poetic and raise the roof than these three titans of the cause. 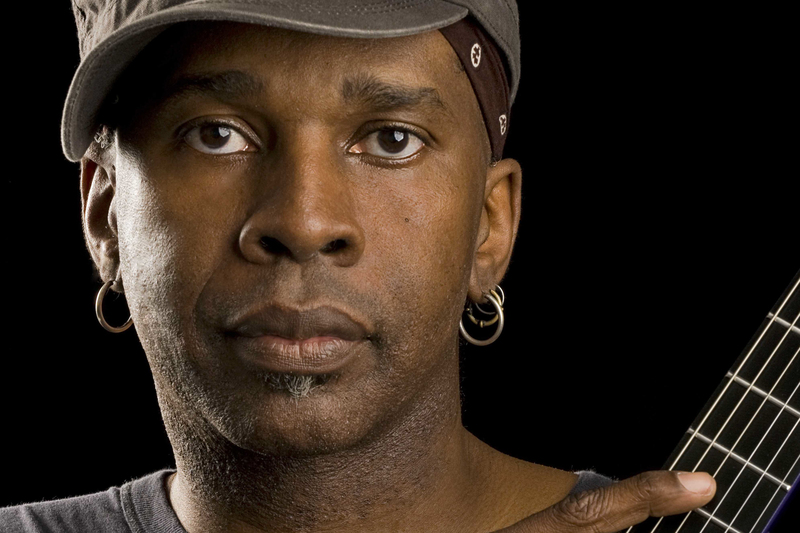 Visionary guitarist Vernon Reid—best known as the scorched-earth riffer of alt-metal powerhouse Living Colour—founded the Black Rock Coalition, an NYC-based collective committed to promoting the creative freedom and works of black musicians, in 1985 alongside journalist Greg Tate (more on him later). 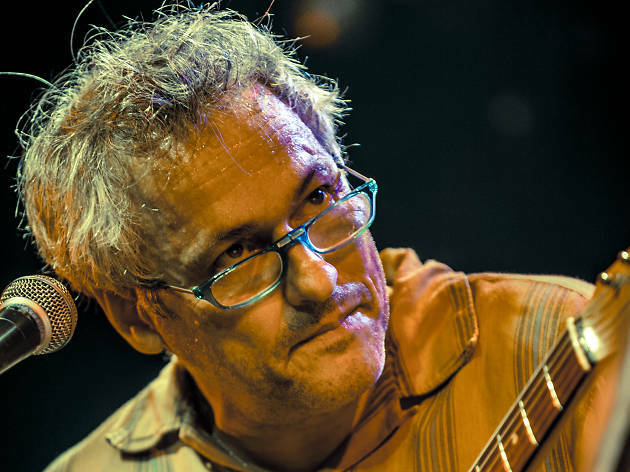 Tonight Reid teams with his Living Colour bandmate, drummer Will Calhoun, and downtown staple Melvin Gibbs (of Rollins Band and Arto Lindsay fame) for some fretboard-shredding protest rock action as Zig Zag Trio. S.O.B.’s, 204 Varick St. Friday, January 6 at 12:20am; one- or two-day marathon pass. As mentioned, a core theme of Winter Jazzfest 2017 is social and racial justice, and it’s not just music that’s preaching the gospel. In addition to artist-in-residence Andrew Cyrille tracing his career arc via his own life lessons (Metamusician’s Stomp talk on Sunday, January 8 at 1pm), WJF presents this panel led by Black Rock Coalition founder, Burnt Sugar Arkestra member and Flyboy 2 author Greg Tate, whose brutally honest fireworks and historical know-how have produced some of the best music journalism over the last three decades. 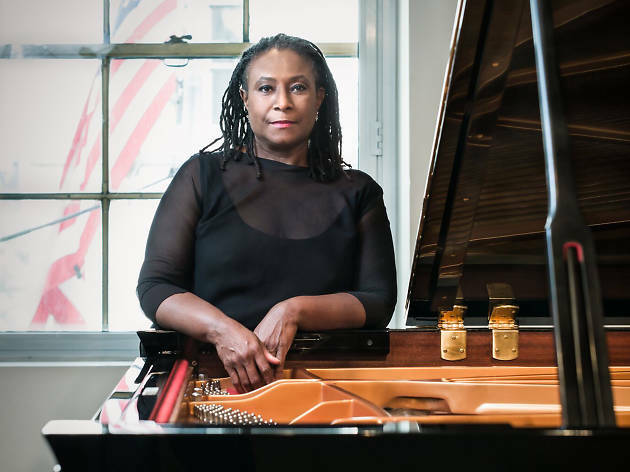 Tate dissects the role of the musician in these trying, divisive times alongside veteran drummer Terri Lyne Carrington, composer Samora Pinderhughes, and Black Lives Matter and ACLU contemporaries. The New School 5th Floor Theater, 55 W 13th St. Saturday, January 7 at 1–2:30pm; free. Ace trumpeter and Brooklyn jazz underground stalwart Evans has played prankster bop with Mostly Other People Do the Killing and metal-inspired grind-jazz with Pulverize the Sound; as the leader of his ever-vibrant avant-jazz all-star group, he explores otherworldly sounds with big-band–inspired jazzscapes that meld shape-shifting electronics, free improv, gale-force trumpet blowing and circular breathing undertones. Expect to hear from his exhilarating live masterpiece Genesis as he sets a course into the forward-thinking stratosphere. SubCulture, 45 Bleecker St. Saturday, January 7 at 6pm; one- or two-day marathon pass. Fronting Elder Ones, local avant-gardist Kidambi delivers entrancing, wordless sing-chants as her harmonium melts into a hypnotizing blur alongside saxophonist Matt Nelson (of Battle Trance), bassist Brandon Lopez and drummer Max Jaffe. 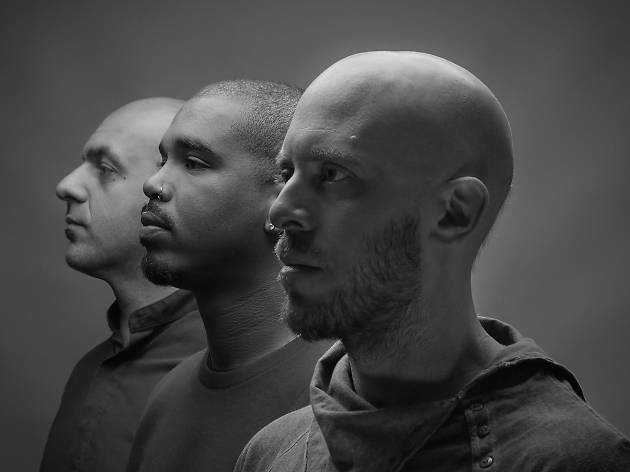 As on the group’s debut, the drone-jazz space oddity Holy Science, expect an exercise in spiritual cleansing from the school of Alice Coltrane. New School Glass Box Theater, 55 W 13th St. Saturday, January 7 at 8pm; one- or two-day marathon pass. 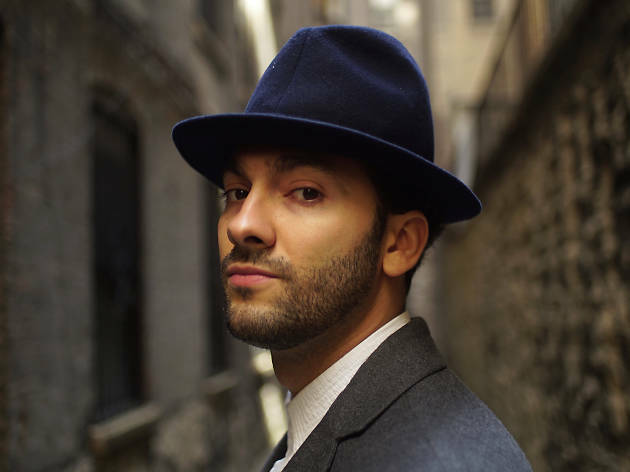 Ever since his acclaimed 2012 LP, Continuum, Brooklyn-via-Cuba pianist extraordinaire Virelles has upended the jazz world with his pioneering music that draws from the cultural sounds of both locations. His recent EP, Antenna, continues that streak. On Saturday, January 7 you can hear Virelles with postbop star Coltrane. 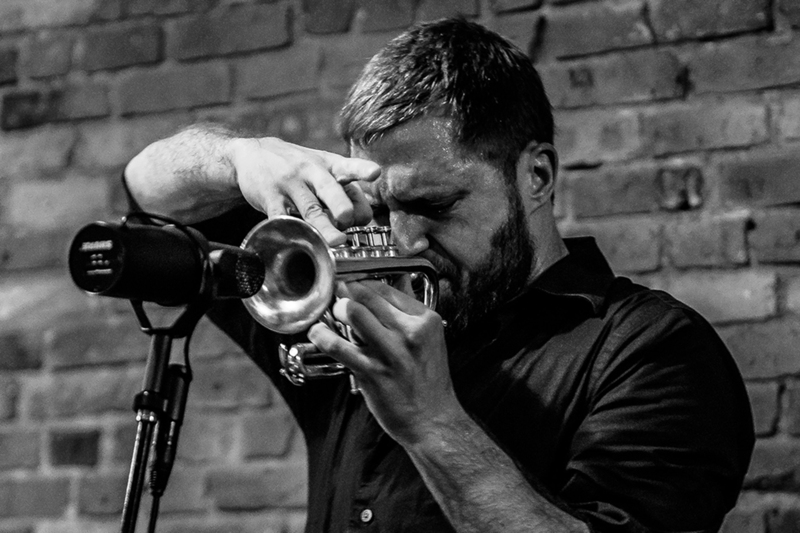 And on Sunday 8 at Littlefield (622 Degraw St, Brooklyn; 8pm), he joins a dream lineup of improvisers—including Kris Davis, Marc Ribot, Erik Friedlander, Linda Oh, Trevor Dunn, Hamid Drake and previously mentioned talents Cyrille and Hutchings—to celebrate what would have been the 100th birthday of one of the fathers of jazz, Thelonious Monk. 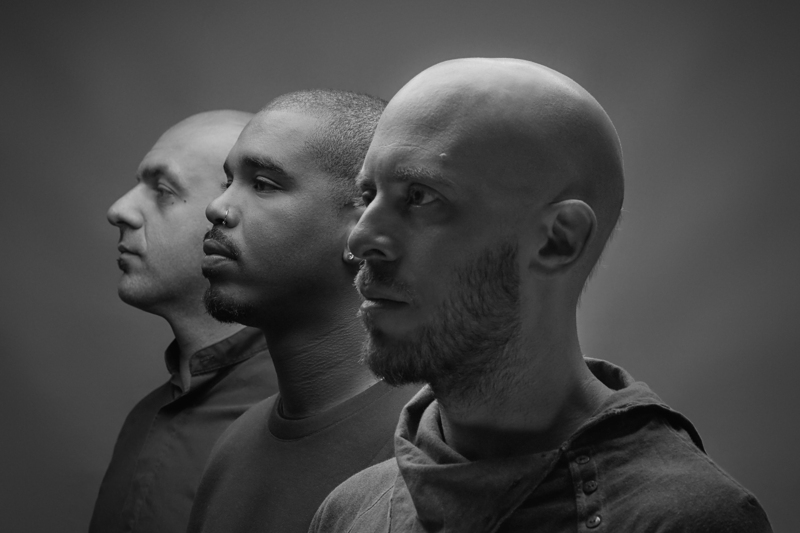 The group reimagines Monk’s classic 1965 album, Solo Monk,in both solo and ensemble modes. New School Tishman Auditorium. Saturday, January 7 at 8:40pm; one- or two-day marathon pass. 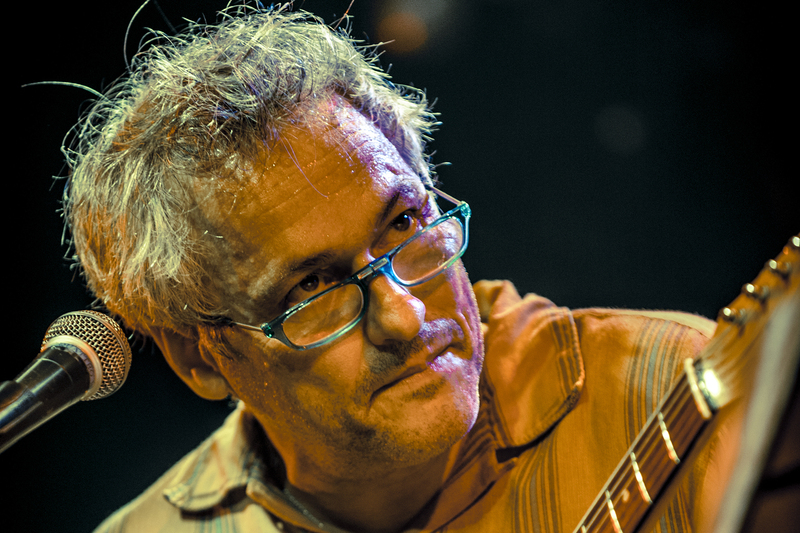 Guitar colossus and longtime Brooklynite Ribot has wielded his six-string wizardry in the company of stars like Robert Plant, Elvis Costello, Tom Waits and downtown jazz renegade John Zorn. 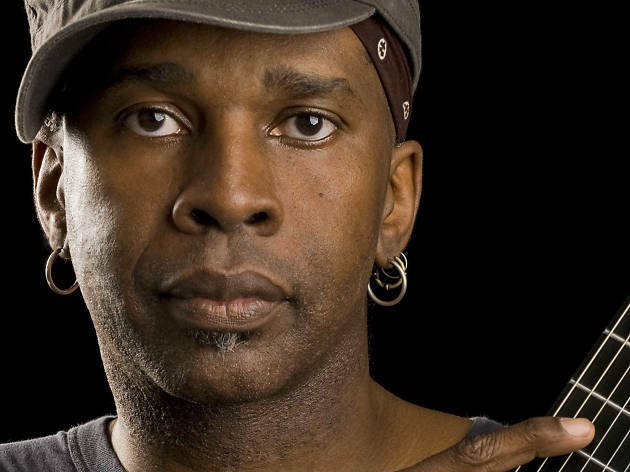 With punk-funk juggernaut the Young Philadelphians, he starts a party, joined by fellow fret-master Mary Halvorson (whose Octet performs Saturday, January 7 at New School 5th Floor Theater), bassist and Ornette Coleman collaborator Jamaaladeen Tacuma and drummer C. Calvin Weston. As it did on last year’s groove-heavy Live In Tokyo, the quartet blows the funky-assed lid off classic dancefloor burners with punk-funk takes on “Love Rollercoaster” and “The Hustle.” S.O.B.’s, 204 Varick St. Saturday, January 7 at 10:40pm; one- or two-day marathon pass. 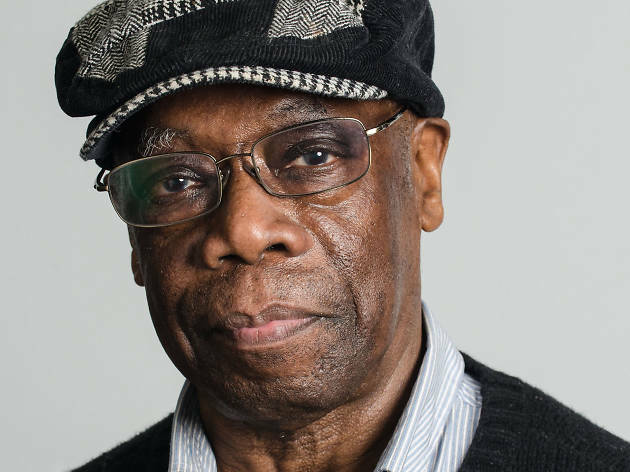 In fitting with the overarching theme of social justice, it makes sense that the festival concludes with the Liberation Music Orchestra, an ensemble that was led by the late, great bassist Haden for more than four decades. Its protest music has taken on issues from the Vietnam and Iraq Wars to environmental causes. 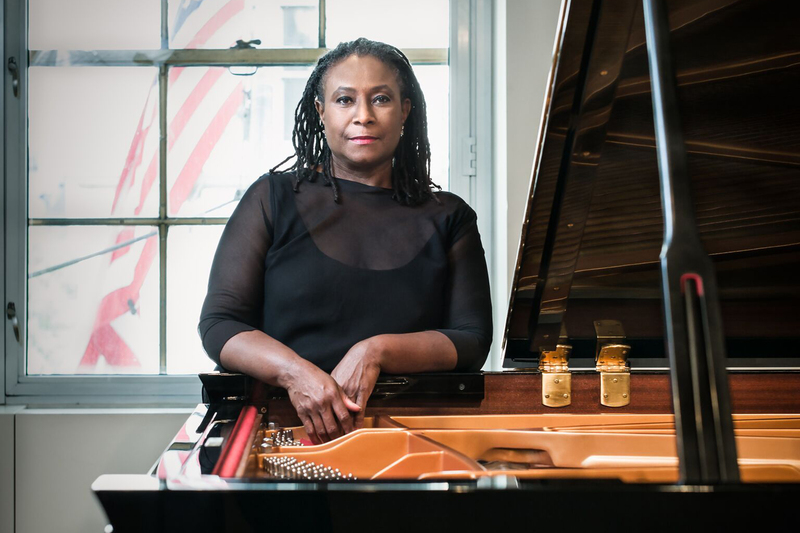 With longtime Haden cohort Geri Allen as conductor and pianist, the 12-piece unit delivers an epically spiritual closing statement. Arrive early for a pre-show panel on music and environmental justice at 6:45pm. Le Poisson Rouge. Tuesday, January 10 at 8pm; $30–$40. 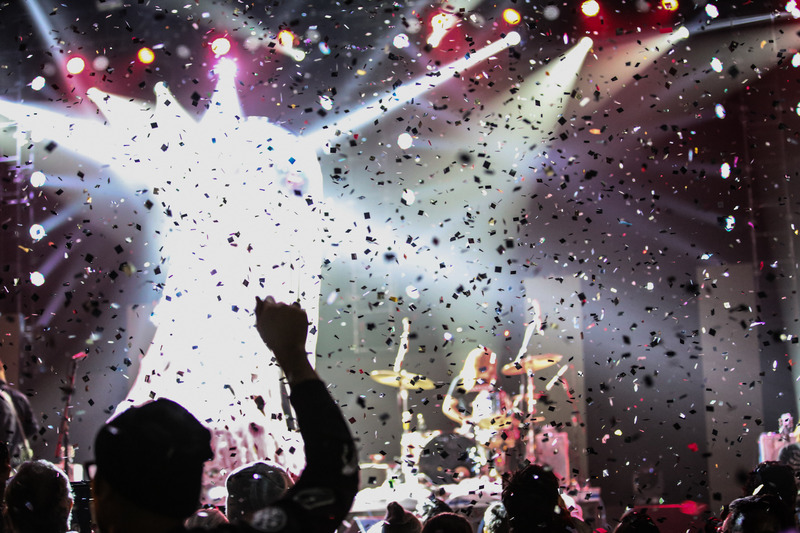 Want to add more live music to your life?